The Sisters of Mercy came to Sunderland from Cork, Ireland in October 1843 at the request of Canon Kearney who was then Parish Priest of St Mary’s Parish Sunderland, and the “walking nuns” as they were soon to become called became the first Religious presence in the town since the time of Bede and Benet. 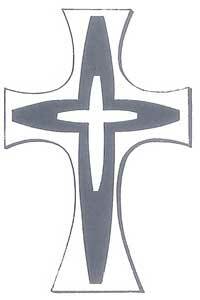 From the outset there was a steady stream of girls wishing to dedicate their lives to God as Sisters of Mercy, and in no time at all the community of Sisters of Mercy grew and flourished in Sunderland. 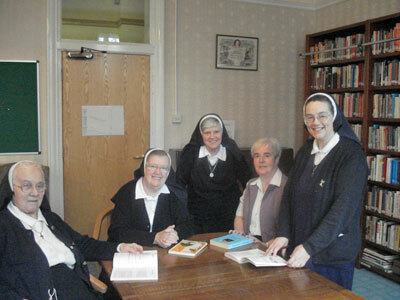 In due course the Sisters were invited to open branch houses in other parts of the Diocese. To this day the Sunderland Sisters of mercy can be found working in Sunderland, Gosforth, Hexham, Seaham and Wolsingham. Initially education was the major apostolate of the Sisters who on their arrival immediately went to teach in the schools in St. Mary’s Parish in Sunderland. As time went by the Sisters were invited to teach in other Sunderland parishes and in other schools in the Diocese wherever branch houses were established. Apart from education, however, the Sisters responding to the social conditions of the times, were involved from the outset in various corporal works of mercy, notably visitation of the sick and the poor in their homes and in the hospitals, assisting the poor and the needy, comforting the bereaved, caring for homeless children – to name but a few. The sisters were also involved in the spiritual work of preparation for receiving the sacraments, instruction of converts, instruction of children in non catholic schools. Today the Sisters’ continued involvement is reflected in school chaplaincy, parish ministry (including First Holy Communion instructions for disabled children as well as for profoundly deaf children), prison ministry,care of the elderly, the poor, and the homeless, and response to any other needs which arise in the locality. The exploitation of women and children throughout the world has become a major issue, and sisters are now becoming involved in various forms of advocacy at local level. This intervention is proving to be a much needed support in todays troubled times.